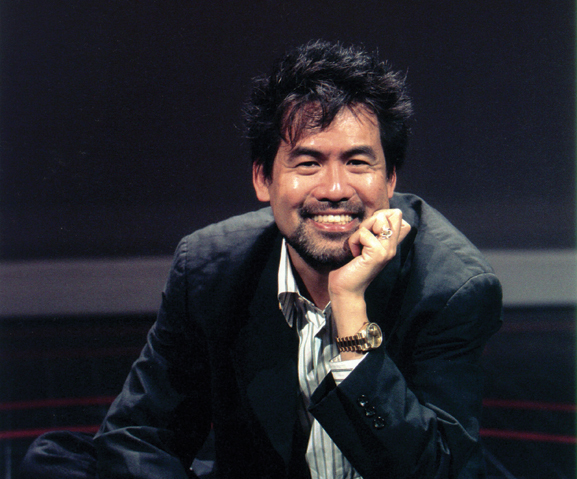 From the beginning, playwright David Henry Hwang found the theater fascinating because of the way in which words could fill a stage. “Theater is inherently metaphorical. Film is supposed to be real,” he observes, reflecting on more than 30 years of experience as a scribe of plays, film, librettos, TV and texts for dance. Thus, Hwang’s ideas for characters in a play often come from unexpected places. In a seminal workshop with Sam Shepard, he learned how to write from his unconscious. Hwang’s rise to fame in the thespian world came at a time when impresarios like the renowned Joseph Papp were looking for stories by women and minority voices that hadn’t been told. By the time Papp presented Hwang’s play F.O.B. at the New York Shakespeare Festival, Hwang’s career was in full bloom. At the time, Hwang found a creative partner in composer Lucia Hwong, and he credits her music with enhancing his theatrical language. Their collaboration reached a crescendo with the success of Hwang’s Tony Award-winning musical M. Butterfly. Hwang shaped the play from a newspaper story of a French diplomat betrayed by his supposed female Chinese lover, who was both a man and a spy. He wove into the play the storyline of Giacomo Puccini’s celebrated opera Madame Butterfly, in which a Japanese woman in love with a Western man is rejected and commits suicide. When writing, Hwang allows an idea to percolate for a year until he falls in love with it. Along the way, the work must pose a question that results in catharsis, and there must be a clear path demarcating start and finish. He also looks at other successful plays to model his structure. One of his recent rewarding projects was Ainadamar, an opera collaboration between composer Osvaldo Golijov and Hwang, who wrote the libretto. It won two Grammys in 2007 and has become “the most performed modern opera since John Adams’ Nixon in China,” says Hwang. Next up is Chinglish, a comedic play set to open in Chicago in 2011, in which an American businessman becomes lost in translation as he tries to do a business deal in China. “Internationalism is the new multiculturalism,” he says.